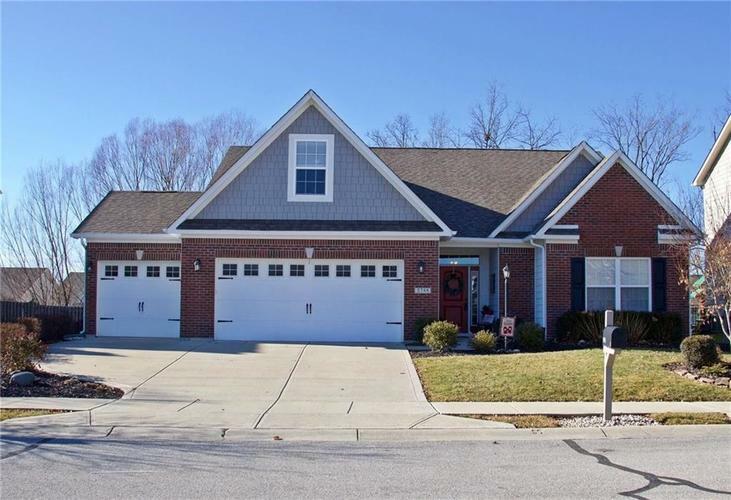 Fishers, 3 BR/2 BA home. HW floors in kitchen, eating area and sun room. Impressive kitchen w/ solid surface counters, custom tile, pantry, stainless steel appliances dining area. Sun room has French Doors out to patio. Plug for hot tub available. Master bedroom with walk-in closet. and a gorgeous bath with Travertine tile, garden tub,separate shower and double sinks. Kohler fixtures. Bonus room upstairs provides that extra space for office or a 4th bedroom. The back yard is partly fenced has nature preserve with many trees providing spring/summer privacy. Built in security system, surround sound and generator. Upgraded light fixtures. Crown molding. Newer heat pump (2017), water heater (2017),brand new dishwasher. Irrigation system. Directions:East on 96th Street from Olio Rd. 2nd Left on Brooks Drive. Follow Road around. Deadends in to home on Brook Meadows.